‘The aftermath of September’s fraught referendum and the new devolved powers promised for Scotland and Wales have left us facing an unanswered question: If Britain is to stay united, what should be its foundation, its purpose? As the former Labour Prime Minister Gordon Brown argued in his compelling book, My Scotland, Our Britain, the division between separatists and unionists is not about patriotism: both pro- and anti- independence advocates rightly claim to be equally patriotic. But the incontrovertible advantage of modern Britain is its 20th-century innovation: the pooling and sharing of risks and resources across the whole country to ensure common welfare and decent standards of life for all citizens, regardless of nationality or where you live. At the heart of this have been ground-breaking decisions made at different crucial points of the 20th century – first introduced by Liberal governments and subsequently consolidated by Labour governments up until 2010 – ensuring common economic, welfare and social standards: common Britain-wide old age pensions; common British social insurance (sick pay, health insurance, unemployment insurance and labour exchanges); common British child and family benefits; a common British minimum wage; and a British system of equalising resources, so that everyone has the same political, social and economic rights, and not simply equal civil and political rights. Pooling and sharing Britain’s resources also enables redistribution from richer to poorer parts – whether constituent parts of a nation like the coalfield communities of the South Wales Valleys or regions of England such as the North East. With around 40 per cent of the country’s national wealth concentrated in London and the South East of England, separatists have no answer to what is essentially the democratic socialist case for maintaining the integrity of Britain: redistributing resources from its better to its less well-off parts, and guaranteeing equal opportunity and security for all British citizens regardless of race, gender, sexual orientation, age, disability or faith. That has meant that while inside the European Union the average income of the typical citizen of the poorest country is just 20 per cent of that of the richest country, and in the US the income of the poorest state is 55 per cent of that of the richest, the average income of the typical Scot is 96 per cent the average income of an English citizen; for Wales the figure is 87 per cent. A universal right to free health care across Britain in the 1940s and, in the 1990s, a British-wide minimum wage and tax credits that guaranteed a minimum family income stopped regions and nations undercutting each other by offering incoming businesses a lower-paid workforce, thus preventing a race to the bottom between the nations and regions within Britain. This sharing and redistribution of both resources and risks has therefore come to define the purpose of Britain, to secure cross-country, cross-region fairness and justice. But, in turn, it means recognising the reality of a more “federal” Britain which I have long advocated and is supported by Labour, Liberal and Green politicians as well as a few thoughtful Conservatives, notably Welsh AM David Melding. But this federalism should not be based upon an English Parliament to parallel Welsh, Scottish and (subject to the 1998 “Good Friday” settlement which permits unity with the Irish Republic should a referendum endorse that) Northern Ireland Parliaments. For the 1973 Kilbrandon Royal Commission made a convincing case against a separate English Parliament which has never been rebutted. Instead, in a modern federal Britain, English interests could be protected through devolution beyond London to English regions or city-regions, and by reforms within the existing British Westminster Parliament. These reforms would be designed to both preserve the equality of all MPs and to introduce special procedures ensuring the voices of English MPs could have weight over English-specific legislation. The Westminster Parliament would have continuing responsibility for overall economic policy, taxation and spending totals, foreign and defence policy, security (including energy security) and social security. The devolved legislatures could then take responsibility for most other policy areas, by mutual agreement. But on taxation there is an important distinction between the Conservative endorsement of income tax devolution and a socialist perspective. For the right it is an ideological objective to shrink the Whitehall state, offloading as much responsibility as possible onto individual citizens to fend for themselves, outsourcing to private providers and “subcontracting” tax and spending to devolved legislatures. Having strenuously opposed political devolution in the past, the Tories now see the virtues of economic devolution in right wing terms. And in that respect, at least, the outcomes if not the ideologies of nationalism and Conservatism converge, because it is the redistributive power of the British state that ensures that the former is extinguished and the latter stunted. In Wales’ case, independence would leave us much the poorer, just like the North East of England or Cornwall would be if separatism or Tory tax devolution were to affect them. All British taxpayers – English, Welsh, Scottish – contribute their taxes at a British level to guarantee free health care, pensions, a decent family income and universal education, as well as defence and security – and to guarantee that where relevant the Scottish Parliament, Welsh Assembly and English regional or city-region governments have the capacity to deliver them. Today, as policies diverge under devolution that may mean different things in different nations. For example, there is free care for the elderly in Scotland but not in England. In Wales student tuition fees are a third of those in England. In Scotland and Wales collectivism is culturally more deeply rooted than in England, where Tory support is proportionately much greater. Although socialists and Labour Party members right across Britain share common values of equality, social justice, democracy and liberty, these are increasingly expressed through different priorities and policies. There is – at least as yet – no recognisably Welsh or Scottish socialism that might differ from an imagined English socialism. But there is a direction of travel which will only be accommodated under a British socialism that is much more participatory, pluralist and devolutionary. A Labour government, for example, should not be afraid to promote countervailing sources of power – for example, through an elected second chamber to replace the House of Lords and through devolution in England. Some Labour traditionalists of both left and right have balked at such democratic pluralism because, as has been the case in Scotland and London, these bodies are not necessarily Labour controlled. But that contradicts what ought to be a fundamental and defining characteristic of socialism, namely its essentially empowering ethos. David Williamson: Peter Hain was a big beast from Wales – will Westminster see his like again? The Neath MP has never known a quiet life – and he is not about to retreat from the public stage now. 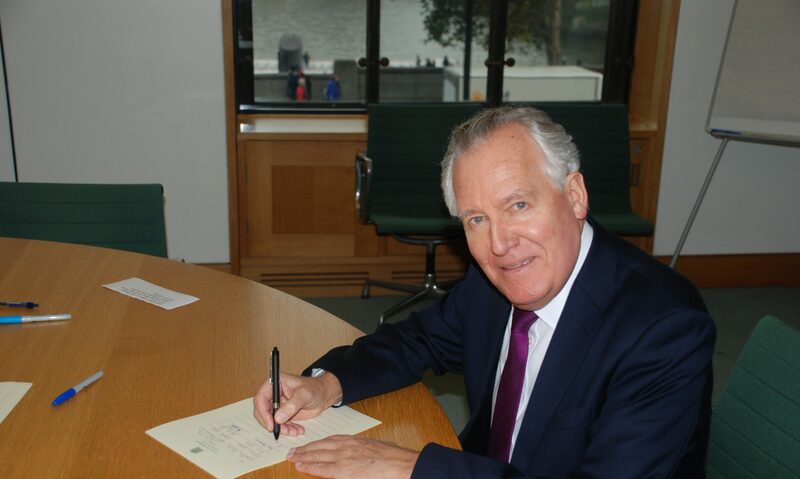 There was an echo of Tony Benn when Peter Hain last week announced he was to leave the House of Commons where he has served as MP for Neath since 1991. Just as the late Labour left-winger announced his own departure from parliament on the grounds he planned to “spend more time on politics”, Mr Hain made it very clear that he has no intention of stepping off the public stage. This is not a bowing-out act but the transition to a new act. Using Twitter, he said he was “moving on to remain active in politics, campaigning for justice, freedom, equality, democracy”. This will not be the second act in 64-year-old Mr Hain’s career but at least the third. As the 19-year-old chairman of the Stop the Seventy Tour he sprang to national attention as a vociferous anti-apartheid campaigner who disrupted the all-white Springbok rugby tour of Britain. The cancellation of that year’s cricket tour was a major victory which cemented his reputation as a young South African ready to rock the establishment. Mr Hain has never displayed any inclination towards a quiet life, although that was never an option for him. His parents received “banning orders” from the South African regime as a result of their anti-apartheid activities and took the family to Britain only when it became impossible to earn a living in their homeland. Due to his own campaigning, Mr Hain was sent a letter bomb and the UK Government put him under surveillance. He was a founder member of the Anti-Nazi League in 1977, a move which cemented his status as an enemy of the British far right. The UK had no shortage of radical left-wing parties at this time but Mr Hain switched his allegiance from the Young Liberals, where he had been president, to Labour. A job as head of research at the Union of Communication Workers immersed him in the world of Britain’s trade unions and his victory in the 1991 Neath by-election ensured he would put down roots in Labour’s Welsh heartlands. Many of Labour’s rising stars gravitated to seats in the former industrial heartlands at this time but the move proved particularly meaningful for Mr Hain, who has embraced a political identity as a “libertarian socialist”. In his statement last week he made it clear we should not expect to see a “for sale” sign anytime soon at his Aberdulais home. In Government, he would serve as Welsh Secretary, play a central role in securing a Yes vote in the 1997 Assembly referendum and lay the legislative foundation for the 2011 public vote on primary law-making powers. His wife, Elizabeth Haywood, is one of the highest-profile figures in Wales’ business community as a former chair of CBI Wales and a Welsh Woman of the Year winner. Critics may wish more powers had come the Assembly’s way while he was at the helm, and the Labour-Plaid Cymru coalition came the closest to splitting in 2009 when a joint-statement by Mr Hain and First Minister Rhodri Morgan signalled their party would not start consulting on the All Wales Convention’s referendum recommendations until after the 2010 election. Ahead of the 2007 election he insisted there was “no prospect” of Labour doing a deal with Plaid and in February 2011 he urged his party to “kick the nationalists out of government”. Nevertheless, Mr Hain was on the stage at the Welsh College of Music and Drama that night in 1997 when the victory for the Yes campaign was announced. He speaks with pride of delivering devolution and – from his perspective as a Labour MP with Scots about to vote on independence in less than 100 days – he may well feel he was justified in his concerns about the entry of nationalists to government. But one of the most striking aspects of his parliamentary career is how he was both intimately involved in Wales’s constitutional evolution and yet played a role on the frontline of Westminster politics. Today, ambitious young Welsh politicians face the choice between fighting for a seat in an Assembly in which they will not have a say on international affairs, defence and, for the time being, welfare, or seeking to enter Westminster where they will not be able to vote on Wales’ health or education policies. It is interesting to ask where Aneurin Bevan would go if he was starting out today. As a foreign minister and later a Work & Pensions Secretary, Leader of the House of Commons and Northern Ireland Secretary, Mr Hain was a big beast from Wales. When he brought Sinn Fein and the DUP together in government jaws dropped around the world – his intimate knowledge of a nation other than England can only have helped him in this role. UK politics will be diminished if we do not see his like again but the man himself is not preparing to escape the spotlight. Rather, a new adventure may be about to begin. A showdown between National Front members and anti-fascist protesters brought hundreds of people to a Welsh city centre, amid a heavy police presence. Among those supporting the anti-fascist protest was Neath MP Peter Hain. Mr Hain, who is president of the campaign group Unite against Fascism, said: “It’s very important whether it’s Swansea or any other community, town or city in Wales, that we say these are no-go areas for racists, for fascists and for Nazis. “Having a demonstration like this makes a very important statement, directed at the Welsh Defence League or any group that share that ideology, that they should not be allowed to swagger around and spread their poison and hate.